Catalana was absolutely brilliant in every way. Such a talented musician and she looked so very elegant. Catalana was extremely professional through out the booking process and let us choose the music we wanted. I would highly recommend her - she really did make our day that little bit more special! We wanted something a little special to celebrate a big birthday. We knew what we didn't want, eg a jazz band or singers , we wanted something refined and giving us background light classical music while we dined, so hence the harpist and Catalana did not disappoint us. She was very pleasant and knew exactly the type of music to play for us. Our guests were as delighted as we were. Thank you Catalana. Her performance was flawless. Even though I didn't get to enjoy much of it (being the bride) but I did receive many compliments from our guests and my husband who all said she was excellent and they all were thoroughly entertained whilst they waited for my appearance. 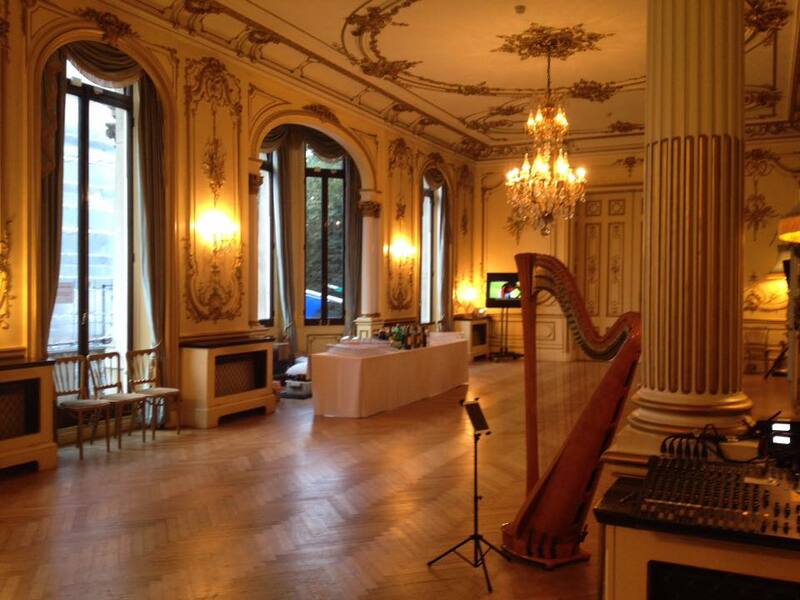 Catalana was fantastic, perfect fit for our reception at the Irish Embassy, really enjoyed by our guests. They were very professional to deal with and I would have no hesitation in recommending them and booking them again. We received so many compliments from our guests regarding Anna’s performance, it was soothing and elegant and really set the scene of what we were trying to achieve. Anna was really professional and played throughout the whole hour! Would definitely recommend! I saw Anna Quiroga perform in London this week and was very moved by her playing. Her performance was of Josef Tal's Concerto for Harp and Electronics and she played with style and aplomb. She makes her harp sing and exudes confidence in her own ability. Quite rightly so. I found it a profoundly inspiring experience. See her if you can.